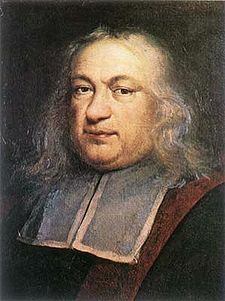 Today, were he still alive, Pierre de Fermat would be 410 years old. Fermat was born on 17 August 1601 in Beaumont-de-Lomagne in southern France and lived until 12 January 1665. He was an amateur mathematician (he was actually a lawyer), but he is now often known as the founder of modern number theory. Together with René Descartes, Fermat was one of the two leading mathematicians of the first half of the 17th century. His work anticipated differential calculus, which was not formally laid out by Newton and Leibniz for another 50 years. When n = 2, you will probably recognise the equation as Pythagoras' Theorem, which, as any GCSE student will tell you, has many solutions, e.g. The idea that there were no solutions for n > 2 seemed compelling, and the simplicity of an idea can sometimes lure us into a belief that the proof must be just as simple. Not in this case. In his notebook, Fermat wrote in pencil in the margin, "I have discovered a truly remarkable proof which this margin is too small to contain". Did Fermat really have a remarkable proof? This will remain one of the mysteries of mathematics. But what we do know is that the world had to wait over 450 years until a proof was finally delivered by Andrew Wiles in 1995. Another thing we know with certainty is that Wiles's proof is not the same as Fermat's proof, if indeed Fermat's existed. Wiles drew on a vast field of 20th century mathematics that simply didn't exist in Fermat's day. It is over 100 pages long and took 7 years of Wiles's research time. Today's google logo also commemorates the birthday of the remarkable Frenchman Fermat.